Fellowship season is upon us, and more opportunities for students to gain valuable, hands-on experience in environmental fields are opening. 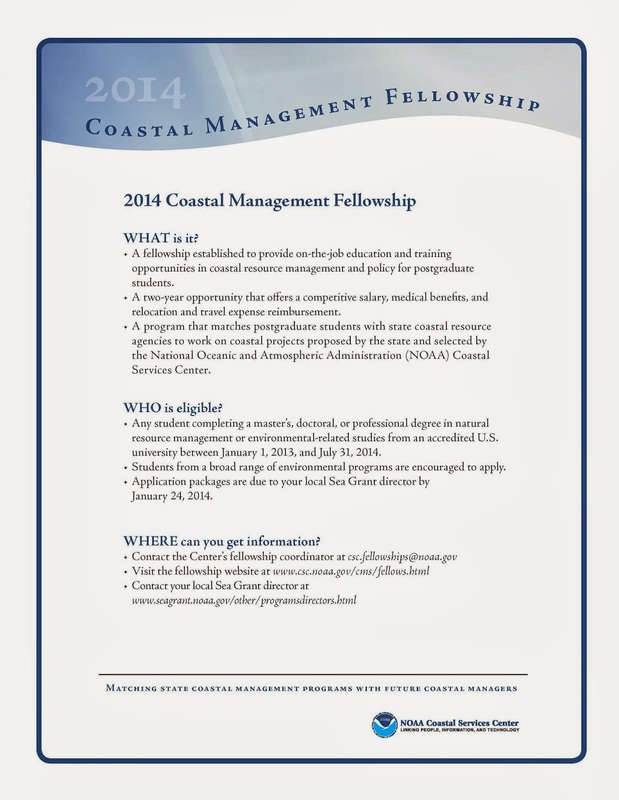 The 2014 Coastal Management Fellowship Program, administered by NOAA and the Sea Grant offices, just opened to applications from graduate and professional-degree students.  The two-year position includes competitive salary and benefits for the selected fellow, and matches students with coastal resource agencies to work directly on issues at the local level. 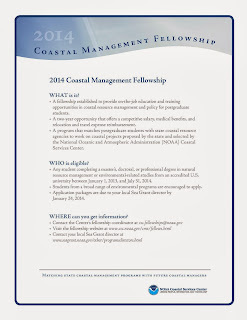 Students can learn more about the fellowship and the application process at the Coastal Services Center website, and can contact IISG’s Angie Archer for information about this and other IISG fellowship opportunities.